The Public Conversations project went so well that we’ve been asked by the building owners to start working on a redesign of the common spaces of the building. 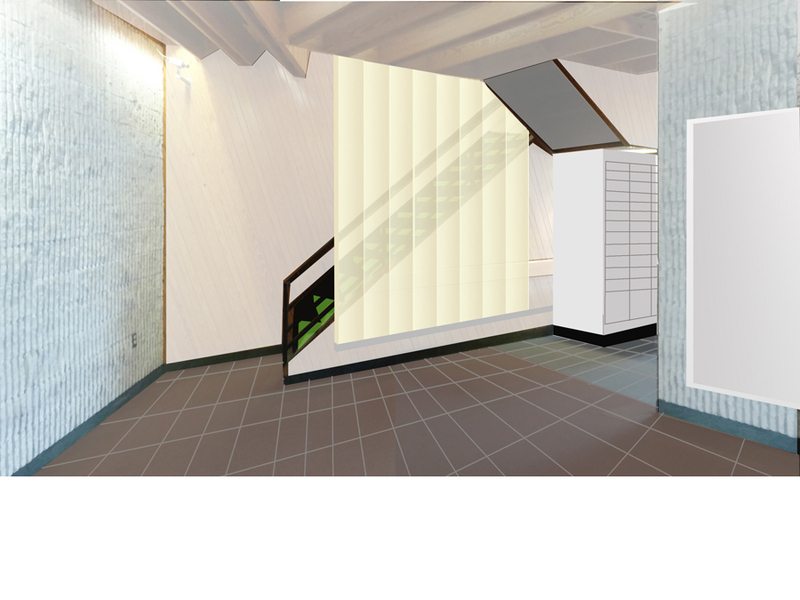 So this month we’ve got an early sketch of the lobby to introduce you to the project. 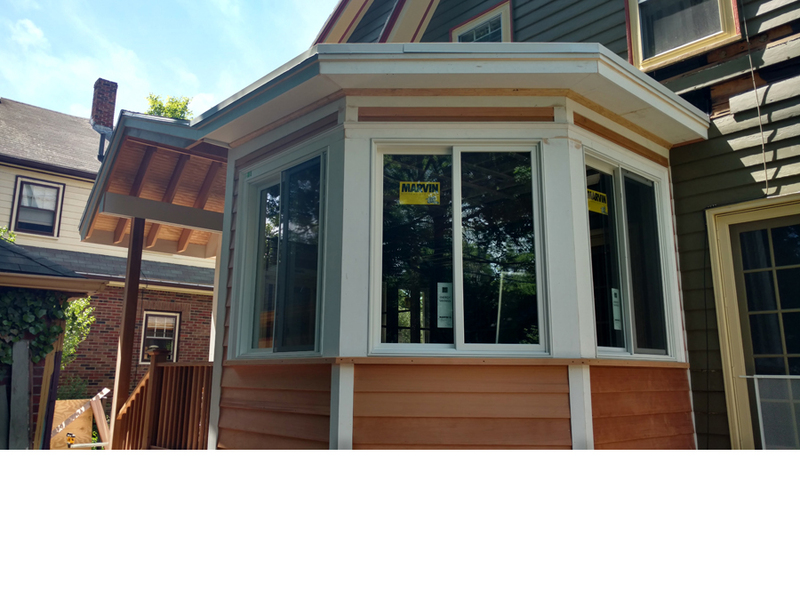 Our kitchen addition in Jamaica Plain continues to roll along, they’re getting close to wrapping up exterior work over there, so we’ll be showing you some interior pictures soon! 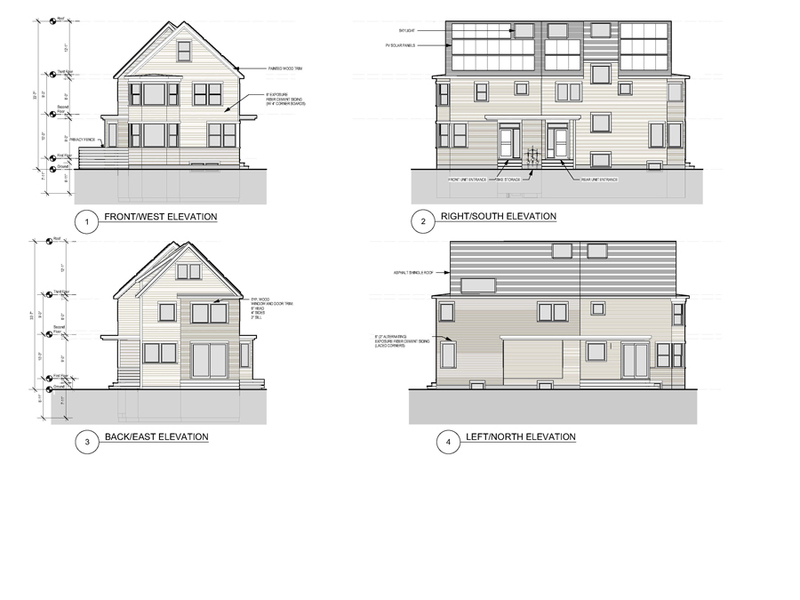 Also on the residential front, we’ve got some elevations from our green home design meets historical commission mash-up! We’re working with the neighbors to address their concerns after a very informative round of outreach and historical commission presentations, while still designing the house our client wants. In addition to all of our projects, we are also the architect of record/design advisor for Youthbuild Boston . They just had a ribbon cutting ceremony at their North Ave project, check out the video! Youthbuild is an incredible organization that helps at-risk youth develop professional skills in the building industry, and we’re glad to be a small part of their work.